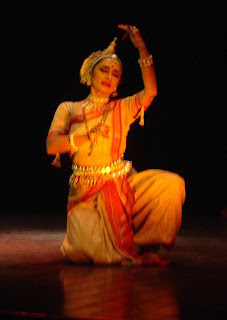 Taking the center stage, the woman twirls with a fluid-like grace, her anklets jingling in solidarity. Her movements are rhythmic, glorious, and deliberate as she keeps time with the verse and music that fills the space around her. She owns the stage she stands on and captivates the onlookers. The message is not in the performance alone, it goes much deeper and traces its roots to a Rights Movement that began a long time ago in Pakistan and renders this female performer a legend. For over three decades, this fearless and renowned classical dancer has led a battle against cultural oppression in Pakistan by holding stage plays and shows on subjects that are not easily talked about in that part of the world. She is Sheema Kermani, a household name and the founder of Tehrik-e-Niswan, a cultural arm of the Women’s Rights Movement in Pakistan. At a time when culture and Women’s Rights are seriously threatened by militants in the region, the work that Kermani and her loyal troupe do is critical to the soul of entertainment in Pakistan. Undeterred by backlash, ranging from death threats, to her troupe’s execution, to her performance attendees being terrorized, Kermani stands firm and committed on the path she has chosen. Strangely, her life echoes the words of the famous Pakistani poet, Bol kay lab azad haen teray (speak for your tongue is free). The daughter of an army general, Kermani was thrown into dancing by her mother while she was still at school. “Learning music and dance was considered part of our education and upbringing and this continued throughout my student life,” she states. Her muse is borne out of an impressive group of movers and shakers. “My inspiration in theatre have been people like Bertolt Brecht, Utpal Dutt, Habib Tanvir, Dario Fo, and Franca Rame,” she says, “while my inspiration in dance have been Uday Shankar, Chandralekha and of course my own gurus Mr. and Mrs. Ghanshyam.” After finishing her schooling in Karachi, Kermani enrolled at Croydon College of Art in London in the late 1960s. Upon her return to Pakistan, she felt the first stirring of an activist within her. The movement started off with organizing seminars and workshops around violence on women and the controversial Chaddar and Chardiwari rule that limited women’s liberty and rights. Gradually, the group drifted towards cultural and creative activities like theatre and dance to promote their cause. “For the first time in the history of the country, feminist and politically conscious plays about the plight of women and other oppressed people began to be staged,” says a proud Kermani. Over the years, Tehrik-e-Niswan has produced artistic and socially relevant plays, mostly in the more middle- and low-income areas of Karachi. The plays consist of a variety of forms and styles––musicals, folk traditions, and stylized movements as well as modern and realistic forms. Some are adaptations and translations, while others are original plays written by prominent writers of the Urdu language. “Tehrik-e-Niswan’s plays usually integrate dialogue and narrative with dance and music, as well as traditional story telling techniques and conventions borrowed from the sub continental folk traditions of Yatra, Nautanki and Tamasha,” explains Kermani. According to Kermani, art elevates the mind and soul to a higher level and eradicates pettiness and coarseness. “Culture brings people together and leads to harmony and cohesion. It counters violence and aggressive attitudes and urges people to reflect and think, thus unleashing the creative energies of people,” she states. Kermani feels that art and especially the Performing Arts can bring about this change because there is something in art that expresses an unchanging truth and has a liberating quality. “The proof of its effectiveness lies in the undeniable fact that our mental attitudes are formed by the songs that we have heard, the plays or films we have seen, the poems or stories that we have read or been told,” she explains. For more information on Tehrik-e-Niswan, visit its website.